Given three mutually tangent circles, we can always find two more circles which are tangent to all three of those. These two are called Apollonian circles. Note that one of the Apollonian circles might actually be around the three initial circles. Call the Apollonian circle and the two parent circles the new set of parent circles and start over from step 2. There's one more bit of notation we need. If we have a circle of radius r with centre (x, y), we can define it's curvature as k = ±1/r. 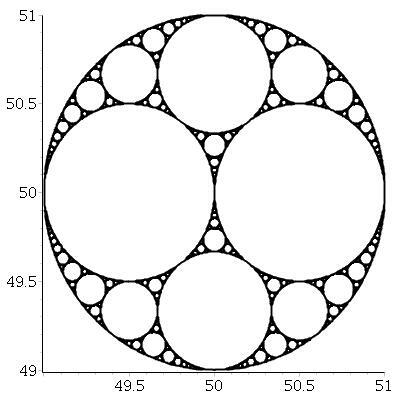 Usually k will be positive, but we can use negative k to denote the circle that encloses all the other circles in the gasket (i.e. all tangents touch that circle from the inside). Then we can specify a circle with a triplet of numbers: (k, x*k, y*k). For the purpose of this question, we will assume positive integer k and rational x and y. 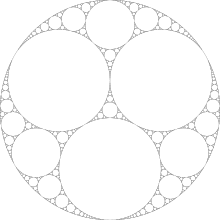 Further examples for such circles can be found in the Wikipedia article. 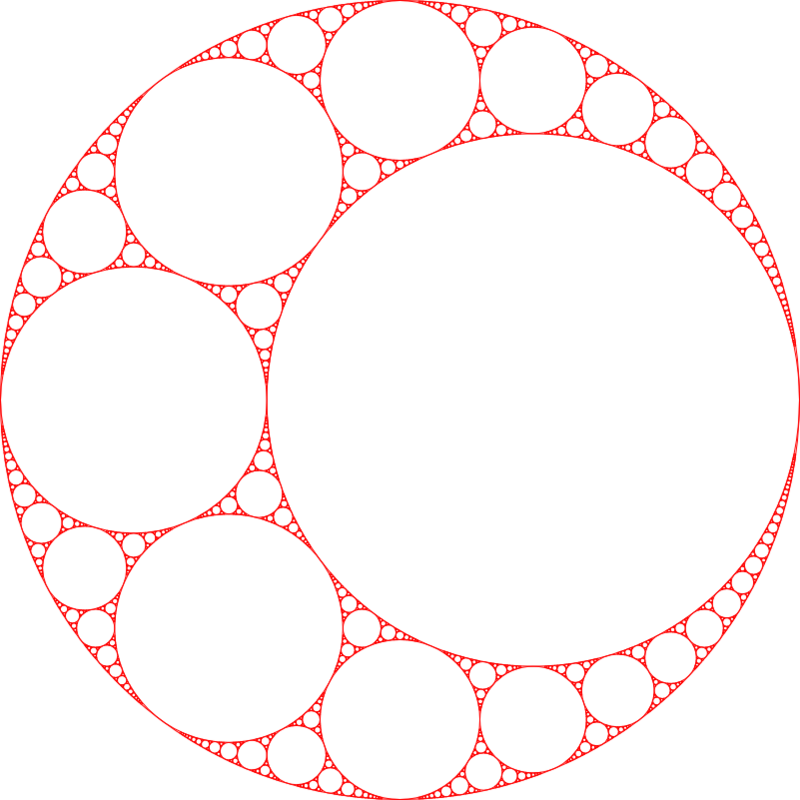 There's also some interesting stuff about integral gaskets in this article (among other fun things with circles). You will be given 4 circle specifications, each of which will look like (14, 28/35, -112/105). You can use any list format and division operator that is convenient, such that you can simply eval the input if you wish to. You may assume that the 4 circles are indeed tangent to each other, and that the first of them has negative curvature. That means you are already given the surrounding Apollonian circle of the other three. For a list of valid example inputs, see the bottom of the challenge. Write a program or function which, given this input, draws an Apollonian gasket. You may take input via function argument, ARGV or STDIN and either render the fractal on screen or write it to an image file in a format of your choice. If the resulting image is rasterised, it must be at least 400 pixels on each side, with less than 20% padding around the largest circle. You may stop recursing when you reach circles whose radius is less than a 400th of the largest input circle, or circles which are smaller than a pixel, whichever happens first. You must draw only circle outlines, not full discs, but the colours of background and lines are your choice. The outlines must not be wider than a 200th of the outer circles diameter. This takes input on stdin and generates an SVG file to stdout. Unfortunately it takes a bit too long for an online demo, but a tweaked version which aborts early can give you an idea. Output is NetPBM format without newlines, so possibly doesn't strictly follow the spec, although the GIMP will still load it. If strict conformance is required, insert an n after the last !. Online demo (note: doesn't work in browsers which fail to honour the SVG spec's requirements with respect to implicit sizing, so I offer a slightly longer version which works around that bug; browsers may also render the SVG less accurately than e.g. 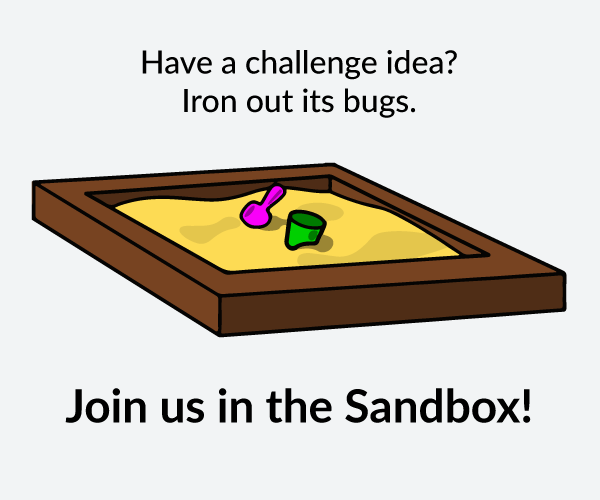 Inkscape, although Inkscape is a bit stricter on quoting attributes). Note that 8 bytes could be saved by using document.write, but that seriously borks jsFiddle. By solving the bilinear system as per http://arxiv.org/pdf/math/0101066v1.pdf Theorem 2.2 (highly inefficient). 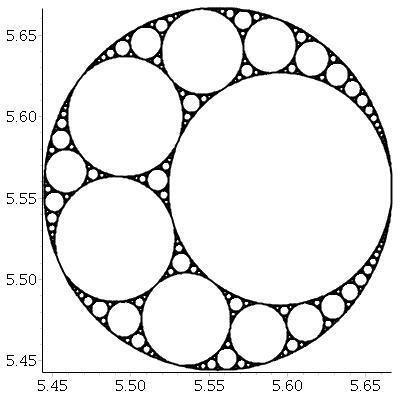 I used Descartes Theorem to generate the Apollonian Gasket and then use Maple's plotting system to plot it. If I have time I want to further golf this and and change it to Python (Maple is definitely not the best for fractals). Here is a link to a free Maple player if you want to run my code. Not the answer you're looking for? Browse other questions tagged code-golf graphical-output fractal or ask your own question.